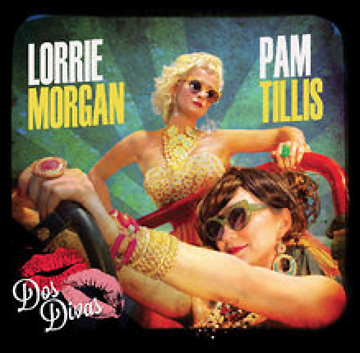 Lorrie Morgan and Pam Tillis (aka Grits & Glamour) have teamed up for a 2013 Thelma and Louise style musical road trip entitled “Dos Divas.” Although the album begins with the reflective “I Am Woman,” which is a litany of the different persona a woman takes on as she faces life's challenges, it soon cranks into high gear with the raucous drinking song, “I Know What You Did Last Night.” Trading vocals as they trade accusations, Pam and Lorrie sing “I know what you did, I was there when you did it. No matter what you do you're never gonna live it down.” In the end, they realize they can’t really accuse each other without incriminating themselves! It's all in good fun. From there the Divas take their party South of the border for a little Latina spice on the title track, “one was as hot as a jalapeno, one was as sweet as sweet sopapilla.” Then it's a little Texas two-step up the road to “I'm Tired,” a song that recalls country's Lone Star roots (complete with fiddle and steel guitar), and one of the musical stand outs on the album. They then take a moment to reflect on the modern country ballad “Last Night's Makeup,” with Lorrie singing, “If I could wash you off like last night's makeup, looking in the mirror wouldn't be so hard.” While Lorrie looks back, Pam looks forward in the bluesy “Ain't Enough Roses.” This is a fun, uptempo piano and harmonica driven song that lets someone know in no uncertain terms that they've messed up one time too many and they've been officially kicked to the curb no matter what peace offering they bring. But our heroines are able to move past their emotional road bumps as the next two songs capture a snapshot of love in harmony. Lorrie's “Another Chance To” and Pam's “Even the Stars” are touching, romantic ballads perfect for slow dancing under the summer stars. From there, it's back to walking on the wild side as Lorrie sings “That's So Cool,” a tale of a post-divorce reunion with an old high school flame — complete with a morning-after Waffle House visit for old time's sake. From there Pam takes a trip to Cougar Town for “Old Enough To Be Your Lover.” Pam roars into town with motor revving and hormones blazing, singing “Boy you're barely a man, then again I'm hardly a girl.” With a funky, driving beat and lots of clever word play, this is the most deliciously decadent song on the CD. After a cold shower, the girls come back with the more somber “Next Time It Rains” by Lorrie and “I Envy the Sun” by Pam. Both are lyrically moving songs about yearning for what you once had. But as the CD winds down, the Divas crank it back up as if they're driving down the home stretch, eager to reach their destination. “Bless Their Hearts” is a soulful social commentary on those who think they can “say anything they want as long as they say it nice.” The CD ends with a look back on their musical (and lifetime) journey with “What Was I Thinkin’.” Realizing it is easier to laugh at mistakes in 3/4 time, they recall the romantic and fashion missteps of their past against a Texas roadhouse backseat. Luckily for us, whatever mistakes these two may have made were not in the creation of this fine album. With witty lyrics and beautiful voices, Lorrie and Pam prove they’re still divas.